If you think your brand is too small to worry about trademarks, you might want to think again. Even smaller brands are copied, sometimes by large brands, and a trademark helps protect your intellectual property. A cautionary tale made the news this week after indie perfume brand Eris Parfums filed a lawsuit against the large retail chain Urban Outfitters for trademark infringement on their scent called Mx., so named to represent a scent meant for all genders. The lawsuit states that Urban Outfitters used Eris Parfums’ trademarked Mx. 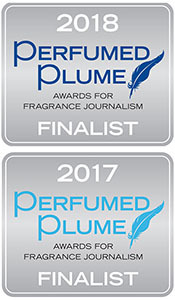 product name and also used promotional copy on the Urban Outfitters website that was very close to the copy used on the Eris Parfums website, with both sites referring to the scent name as representing freedom from constraints of gender. Urban Outfitters seems to have now removed the infringing scents from their site in response to the lawsuit. Sadly, disputes over copying are not uncommon, but a registered trademark gives you a way to defend your creations against copying, even if you are a young, small business. So when do you need a trademark? When you create a new business and begin selling your products or services, you will want to trademark your business name. Owning the .com domain name for your business is not the same as holding a trademark, and it’s a good idea to own both the domain name and the trademark for your business name. You might also want to trademark some of your product names if they are unique and of value to your business. In addition, you can also trademark any original images that are used in your branding, such as an image used in your logo. It is smart to register a word trademark without any specific font or format because a word mark is more general. If your business is based in the USA, you’ll want to register your trademark with the USPTO (United States Patent And Trademark Office). The first step in trademarking is to check the online USPTO database to see if your business name or something similar has already been trademarked. This database check is something you should do before you choose your business name so that you can be sure you do not infringe on someone else’s trademark. You don’t want to invest time and expense into a name only to have to abandon it later when a conflict arises. You should do a Google search to see if other businesses in your field are using the name and also do a trademark search to see if any trademarks have been filed and if they are still active. The same is true when naming a new product. If an internet search shows that your first choice is already taken, choose a different name out of respect for your fellow artisans. Common or generic product names are exceptions to this guideline; for example, many companies offer a “Vanilla” or “Amber” fragrance, which are general names that cannot be trademarked. To get a trademark through the USPTO, you need to have sold your products or services across state lines in the USA (not just in your own state). To meet this requirement, first do a check for name availability and choose your name, then start selling your products/services (across state lines), and then file the trademark application. Or alternatively, you can file an “intent to use” trademark application and then finish the registration once you are actually selling, if you fear the name could be taken by someone else in the meantime. The USPTO uses 45 classes of goods and services to categorize trademarks. For example, perfume products fall into category 3, which includes cosmetics and cleaning products. NOLO press gives a good explanation of trademark classes. In addition to your class, you will need to provide the date of your first use in commerce (verifiable by sales receipts), a description of your goods or services, and images of the name in use (product shots and screen shots of your website). To register, you need to fill out an online form, upload your images, and pay a fee. The trademark will then go through a process of approval that takes quite a few months; you will receive occasional updates of the progress as your mark moves through the process, and you can visit the site to check progress anytime you wish. To search the USPTO database, go to the USPTO website, then scroll down and click the button to use their TESS (Trademark Electronic Search Systems) page. On the TESS page, you’ll probably want to start with a basic word search, so choose that option and it will take you to the word mark search page as shown below. Then type the words of the business/product name you hope to trademark, click submit query, and scan the results. You do not want to see your chosen name already used by someone else in your class (your field of business). If your name has more than two words, try various combinations of two of the words to look for possible conflicts. The USPTO gives tips for how to conduct a good search. When the USPTO evaluates your application, they will determine whether your proposed trademark is likely to be confused with an already registered trademark by a company with similar products, so look for possible sources of confusion when you search. The TESS search page for a word trademark. If your name is not available, it is best to choose a new name, unless you’ve already been using the name in commerce, in which case you should consult a trademark attorney. If your first use preceded the first use of the already trademarked business, you may still be able to register with the help of an attorney, but it will likely cost at least several thousand dollars in attorney fees to negotiate the process. If your name is available, you should be able to use the online system to file your trademark. As of the date of this post, the streamlined TEAS Plus option only costs $225, and the regular TEAS is only $275. The difference between the two is that with TEAS Plus you can only use goods/services descriptions that already exist in the system, which is usually possible because the system is huge. A full list of costs can be found on the USPTO site. An examiner might email you to ask a few questions after you submit your trademark application. If the questions are simple clarifications of information, you should be able to answer them yourself. If a conflict arises with another trademark, you will likely need to consult an attorney, but the odds of conflict are low if you performed a thorough search before filing. Should you self-file or use an attorney? It can be worth filing yourself to save the cost of filing through an attorney, who would also simply use the TEAS/TEAS-Plus system. On the other hand, if you have a complicated case or lack confidence in your search skills, an attorney will have the knowledge and experience to advise you and negotiate the process smoothly. The USPTO offers a discussion about the advantages of hiring an attorney. Your business name is important, so it might make sense to hire an attorney to handle the business name, and then you might feel confident handling product names yourself after you have been through the process once with the help of an attorney. You could have a brief consultation with an attorney to obtain a price quote to help you decide. A blog post like this one cannot offer specific advice for your case; this post is just meant to explain the process and your options. 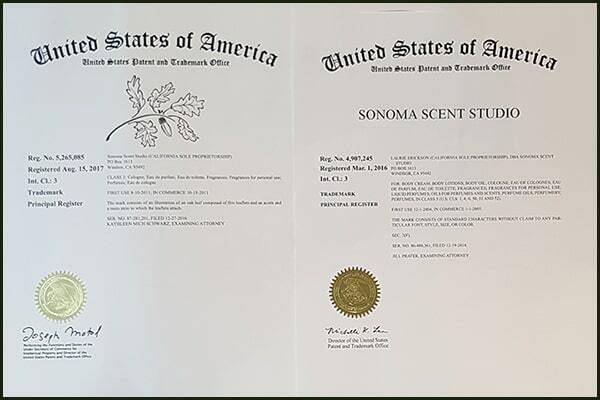 When your trademark is approved, you will be notified and you will eventually receive an official certificate in the mail (see image of two of mine at the top of this post). Congrats! To keep your registration alive, you will need to renew it periodically, so make sure the USPTO always has your current contact information, and be aware of your expiration dates. Hiring Help: Contractor or Employee?